CENTURY 21 United has assisted families with and selling homes in two states (Louisiana and Arkansas), going above and beyond client's expectations to meet their special wants and needs. The knowledge, experience and personal service of our management team and sales associates eliminates anxiety and makes the home buying and selling process effortless and comfortable. come true. As a part of the #1(1) consumer recognized brand in real estate, CENTURY 21 United has the resources to assist you. You don’t need to know everything about real estate if you hire a real estate professional who does. The trick is to find the right person. Why not hire a person with more education and experience that you? We’re all looking for more precious time in our lives, and hiring pros gives us that time. Agents take the spam out of your property showings and visits. Real estate professionals can filter all those phone calls that lead to nowhere from uninterested buyers and try to induce serious buyers to immediately write an offer. Agents are experts on neighborhoods. They either have personal knowledge of the neighborhood you’re interested in or know the industry buzz about it. They can identify comparable sales and get them to you, in addition to pointing you in the direction of finding information on schools, crime, or demographics. Contrary to what some may believe, agents do not select prices for buyers and sellers. However, an agent will help guide clients to make the smartest decisions. Based on market supply, demand and the conditions, the agent will devise a negotiation strategy. Real estate agents are able to disclose market conditions, which will govern your selling or buying process. Data such as the average per square foot cost of similar homes, median and average sales prices, and rations of list-to-sold prices, among other things, will have a huge bearing on what you ultimately decide. Agents can give you a list of references with whom they have worked and provide background information to help you make a wise decision. Real estate professionals are trained to present their client’s case in the best light and agree to hold client information confidential from competing interests. Today’s “purchase agreements” run 10 pages or more. That does not include disclosures or local custom paperwork. Most real estate files average thicknesses from one to three inces of paper. One tiny mistake and omission could land you in court or cost you thousands. In some states, lawyers handle the disclosures, thank goodness! Even if a closing seems simple at the time, complications can come back to haunt. One call to your agent can straighten out the confusion. 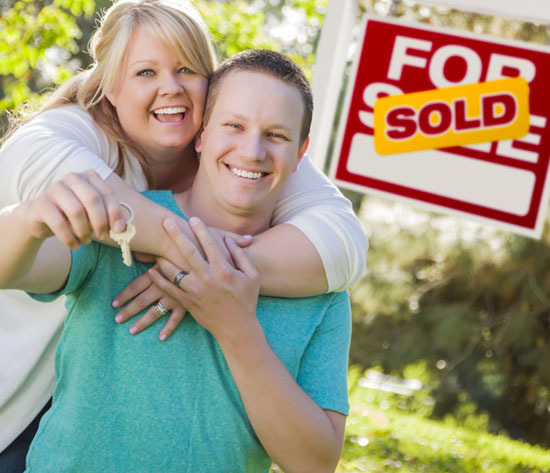 Many questions can pop up that were overlooked in the excitement of closing. Agents stand by ready to assist. The basis for an agent’s success and continued career in real estate is referrals. Few agents would survive if their livelihood was dependent on consistently drumming up new business. This means that an agent who stays in the business will be there for you when you need to hire an agent again. 1. Source: 2008 Ad Tracking Study. The survey results are based on 875 online interviews with a national random sample of adults (ages 18+) who are equal decision makers and who have bought or sold a home within the past two years or plan to purchase or sell a home within the next two years. Brand awareness questions are based on a sample of 875 respondents with a margin of error of +/- 2.8% at 90% confidence level. The study was conducted between March 3 – August 10, 2008 by Millward Brown, a leading global market research organization.